Many people speculate that the Vatican has one of the biggest hoarders of the world's wealth. In the Philippines, the wealth of the Catholic Church is an open secret. 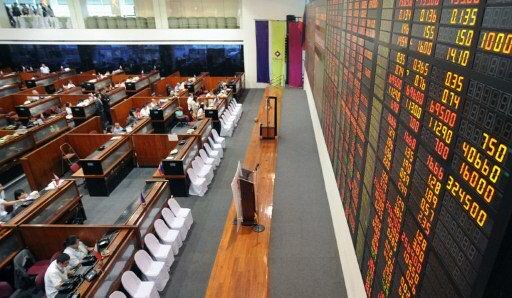 The Catholic Church is one of the whales or largest shareholders of this country, in fact, the Catholic Church diversified its resources in banking, mining and other conglomerates such as San Miguel Corporation. 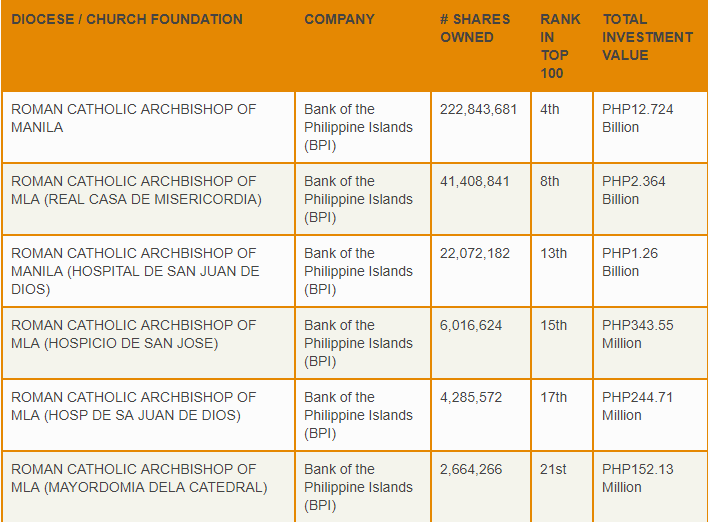 In a rather timed article written by Pinoy Money Talk back in 2011, it is revealed that the bank where the Catholic Church has the most holdings is BPI or Bank of Philippine Islands. With over 300 million shares, it is speculated by many people that most of the money collected from masses, weddings, and other ceremonies are deposited here. Each diocese has distinctive holdings in mining, banking, and other industries. For example, the Roman Catholic Bishop of Tuguegarao, Cagayan invested a lot in Ayala Corporation. And the list goes on. What does this information imply? Many of us would think that too many investments in banking, mining and large conglomerates would mean corruption in the ranks of the Roman Catholic Church. But if we analyze the graphs and information of the holdings it would also mean that the money collected from the Churches every Sunday benefits the economy as well. The Catholic Church played a huge role not only in the history but also in the economy of our country. The supposed meddling of the Church about political affairs is also criticised by some individuals but we can't deny the influence of the Church in many facets of our daily living. The video below all about how the Catholic Church shaped the Philippines.